Mezzosoprano Irina Nuutinen (Finland, 1993) started her musical studies with the classical guitar in Keski-Uusimaa Music School in southern Finland. Her greatest choir singing experience as a teenager was Tähän asti –a production of the Finnish National Opera, which mixed Finnish folk songs and modern dance. The performers were choir singers from the age of 7 to 80. 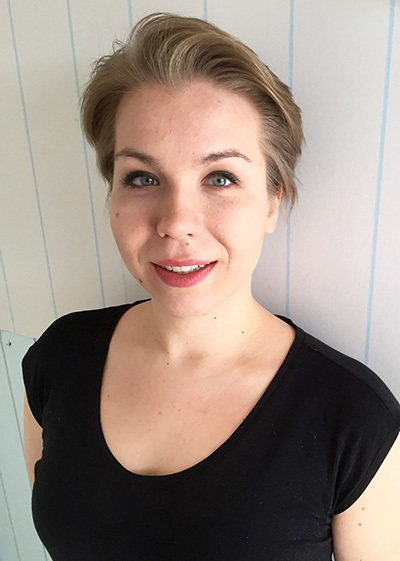 Irina is currently studying classical singing in the Bachelor’s Degree Programme in Music Performance at the Tampere University of Applied Sciences, where mezzosoprano Ulla Raiskio is her teacher. Irina made her opera debut in 2016 singing Ernesto in Il Mondo della Luna (Haydn) in a Tampere Music Academy production (director Erik Söderblom). In Pyynikki Symphony’s Opera Gala “Tour de France” 2016 (conducter Tuomas Turriago) Irina sang Giulietta in Barcarolle (Offenbach) and Mercedes in Carmen (Bizet). Irina has sung both in opera choirs and chamber ensembles; notably in La Forza del destino (Verdi) 2016 and The Ostrobothnians (Madetoja) 2017 in Tampere Opera. With chamber choir Tampere Cappella 2017 she performed”Great Symphonists”, where she was also the alto soloist in the choral arrangement of Gustav Mahler’s Fifth Symphony.